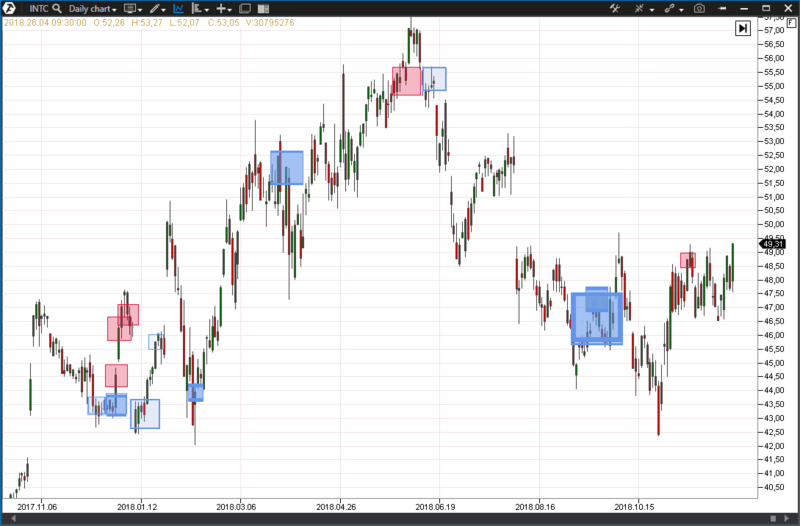 Dimensional stock analysis with the use of Cluster Search (example). 1. Real stories of making profit from stock trading. Warren Buffett made a fortune due to investing into the stock of American companies. His determination to make money prompted Buffett to buy stock of undervalued companies. That strategy envisaged a long-term portfolio stock holding. Patience and intelligent analysis of the stock market made Buffett a very rich investor. Stock trading on the exchange differs from trading currency pairs, since the majority of stock grow in price over years. That is why the idea “buy when the price goes down” works better with stock than with forex. There is an opinion among traders that if some stock lost more than 20% of its cost, it makes sense to think about buying it. Thus, the S&P500 exchange index, which includes stock of 500 American companies, shows the general tendency in the best way possible. The index grew by 25% during 2017. And if we look at historical data, we will see that the index grows constantly. 2. Examples of growth and fall of stock. Since the S&P500 index reflects the weighted capitalization value of the stock of 500 companies, its growth does not mean that all stocks grow. The index grows from 10 to 30 percent annually in the average, whereas some stock grows, some falls. For example, buying Abbott Laboratories stock at the beginning of 2017 would have brought 40% of income during one year, since the paper had grown from USD 42.5 to USD 62. And the price quote reached USD 73 per share by December 2018, which would have brought about 80% of profit to investors. The AbbVie Inc stock had grown by 100% during one year. 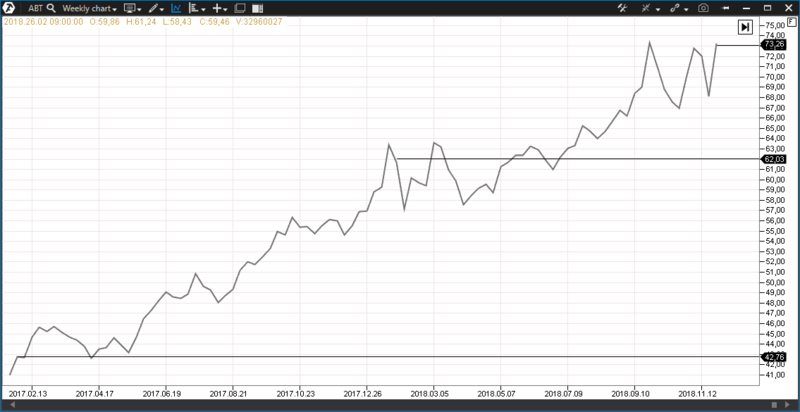 It could have been bought at USD 62 in January 2017, while in January 2018 it was traded at the level of USD 123. However, there were outsiders there too. These are the companies that lost a significant share of its value. Look at the Acuity Brands Inc. stock chart, for example. The company stock lost about 30% in 2017 and continued its fall in 2018, losing 20% more. It is necessary to apply special analysis methods in order to avoid investing into the stock of such outsiders. dependence on natural and technogenic factors. In practice, traders initiate emergence of reversal or further movement patterns. Also, there are patterns, which do not show further direction, and the primary exit from the pattern will be false. Technical analysis also applies indicators, which use the price for calculations, for example, SMA, MACD, Stochastic and others. Dimensional analysis is capable of supplementing two previous analyses. It helps to determine moods of market participants, conduct search for major players and identify their intentions. Appearance of big volumes at price levels testifies to the interest of major market participants and the delta shows what scenario they expect. Cluster Search is a unique flexible instrument of the trading and analytical ATAS platform for finding big trades (how to set the Cluster Search). The chart shows Japanese candles in the range from November 2017 until April 2018 where each candle is equal to one trading session. We added the Cluster Search indicator to the chart in order to detect interest in holding the price by the buyer. 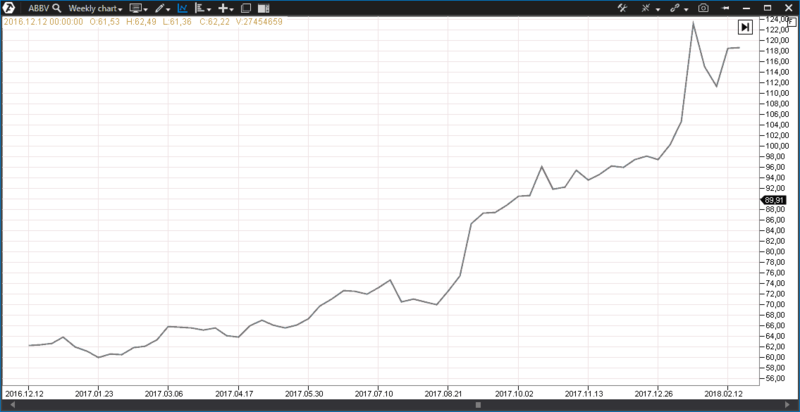 As you can see, the price overpassed the level of USD 42.50 per share at the beginning of November 2017. You cannot know beforehand whether this passed level would become the support level, but emergence of big buys namely at this level implies interest of major participants in holding this level with its possible test in future. Download a free test version of ATAS right now and test the Cluster Search in any market! 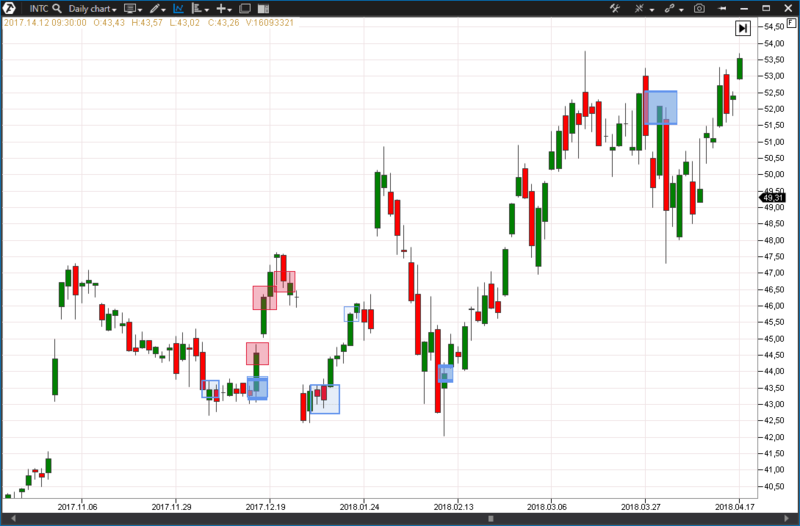 In order to conduct such an analysis all by yourself, you need to open the chart in the ATAS platform, select the section of indicators and add two Cluster Search indicators to the chart. any color; our color is CornflowerBlue. any color; our color is Crimson. Now we can see that there are big buys of more than 5,000,000 shares with the delta overweight of 80% at the level of, approximately, 43.5. The buy indicator manifests itself every time when the price approaches the 43.5 level, after which the price comes back to the range above. The last support level test took place on February 9, 2018, and the price reached the level of USD 52.5 per share by March 13, 2018. The stock brought 20% of profit to its investors for the period in question. Now you have an idea how to make a living from trading stock. But this is not all. The stock price levels can manifest themselves on a long run. We compressed the chart a bit in order to show what happened during level testing in September, October and November of 2018. The same 42.5 level continues to hold the price from falling. 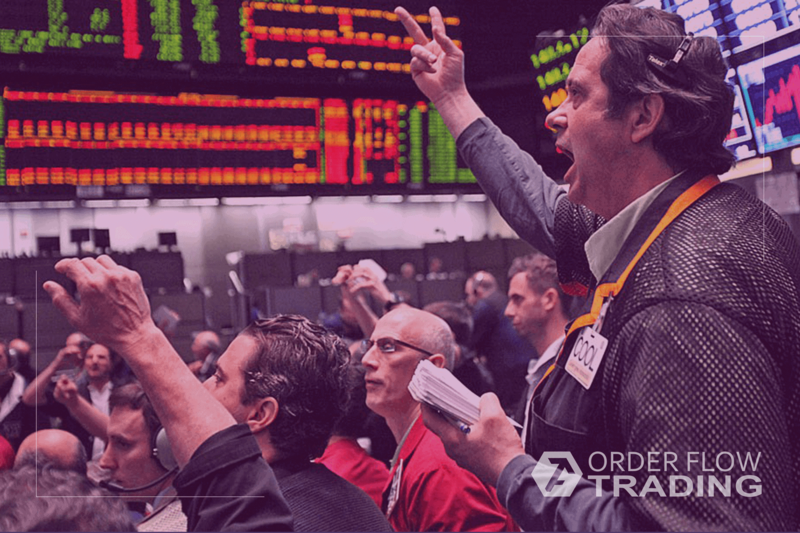 Thus, we showed how the dimensional method of analysis can supplement your trading system for stock trading. Another advantage is spending less time for fundamental analysis, since those major buyers, who held the price, already conducted their fundamental analysis. And we just had to detect them. Stock trading opens big opportunities for making a living. Use modern software for finding the most favourable perspectives.